In 1891, Edward Curtis bought into a photography shop in Seattle with Rasmus Rothi for $150 to form Rothi and Curtis, Photographers. After less than a year Curtis left the shop and formed a new partnership with Thomas Guptill and Curtis and Guptill, Photographers and Photoengravers was created. Both men developed a reputation for their portraits, and Curtis also became well known for his engraving. They also pioneered the gold and silver processing that later became known as the "Curt-tone," or the goldtone. 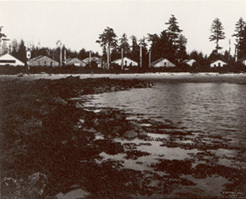 Curtis became the sole owner of the business in 1897, and the reputation of Edward S. Curtis, Photographer and Photoengraver, continued to grow. In 1895 Curtis took his first portrait of a Native American subject, paying Princess Angeline, the aging daughter of Chief Seattle of the Puget Sound Indians, a dollar to take her picture. 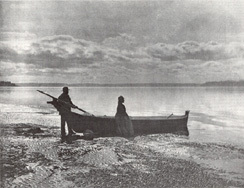 Curtis went on to take several photographs of Princess Angeline, as well as the other Native Americans in the Puget Sound area of Seattle. 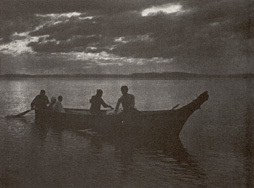 In 1898, he won first prize in the Genre Class at the National Photographic Convention for "Homeward," and image of a group of Indians paddling to shore in a canoe at sunset, and the following year he won again for two photographs of Princess Angeline, "The Clamdigger" and "The Mussel Gatherer," as well as his "Evening on the Sound." These photographs were on exhibition on a two-year international tour, and Curtis began to gain national recognition. In 1900 Curtis embarked on the first of his documentary ventures to photograph the sun dance of the Blackfoot Indians in Montana. 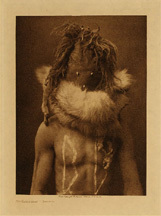 Shortly thereafter he traveled to Arizona to take photographs and film the Snake Dance on the Hopi Reservation. 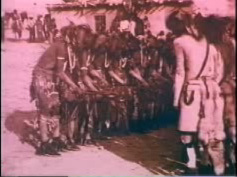 Some of this film footage can be viewed by clicking on the image to the left. This is thought to be the beginning of his initially self-financed project to create a complete record of the North American Indian tribes. 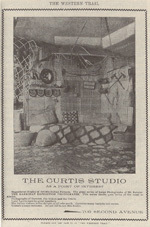 Between this time and the publication of the first volume in 1907, Curtis continued his studio work and entering his photographs into national contests and exhibitions. Click on the thumbnails below to view some of Curtis's earliest photographs of Native Americans in and around Seattle. 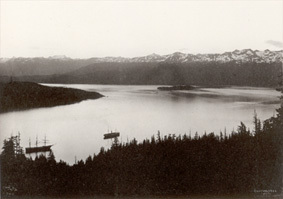 In addition to venturing out of his studio to photograph the Native Americans in and around Seattle, Curtis also often climbed the nearby Mount Rainier to take beautifully composed landscape photographs, such as the one shown to the right. 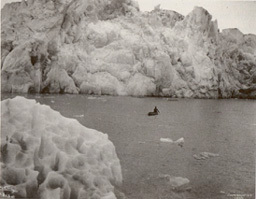 On one of the trips in 1898, Curtis came across a lost climbing party, which included Clinton Hart Merriam, head of the U.S. Biological Survey, and George Bird Grinnell, editor of Forest and Stream magazine. 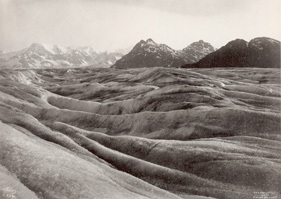 He became their guide on the mountain, and later entertained them at his studio in Seattle, where he took the opportunity to show him his large collection of landscapes and portraits. 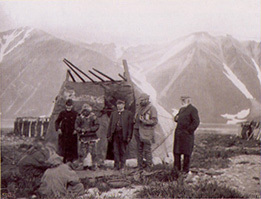 They were impressed enough to invite him along as the official photographer of an expedition to Alaska sponsored by railroad magnate Edward Harriman in the spring of 1899. In addition to Merriam and Grinnell, the expedition included several well-known scientists and artists, including naturalist John Muir and writer John Burroughs. 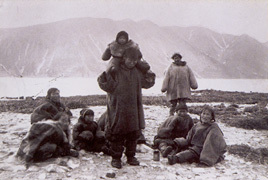 As it was primarily a scientific expedition to document the wilderness of Alaska, the majority of Curtis's photographs were of the landscapes and geological formations, with few opportunities to photograph the Alaskan natives. 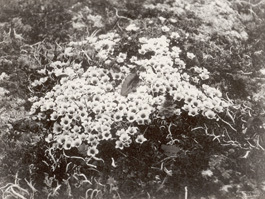 Even under harsh conditions, Curtis paid careful attention to the artistic details of his photographs, such as the ones shown below. This expedition not only introduced Curtis to the harsh conditions he would face in his later work on The North American Indian, but also to the method of scientific study he would employ in collecting the material for this work. It also established valuable contacts, particularly George Bird Grinnell, an expert on the Plains Indians himself. 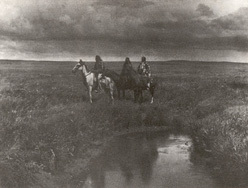 Grinnell opened Curtis's eyes to the plight of the "vanishing race" on the expedition to Alaska and took Curtis to Montana in 1900 to witness the Sun Dance of the Blackfoot Indians. He also helped open doors for Curtis with the eastern establishment that would help him sell subscriptions and fund his project. 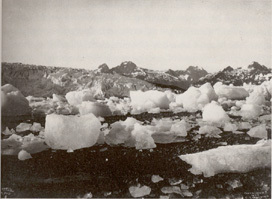 The Harriman Expedition helped set the stage for Curtis's future work. 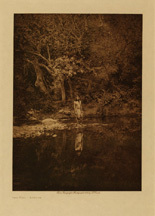 Between his studio work, growing catalog of photographs of Native Americans, and work on the Harriman Expedition, Curtis had begun to develop quite a national reputation. However, it was a photograph of Marie Octavie Fischer, a little girl from Seattle, that prompted the friendship with Theodore Roosevelt that would prove instrumental in launching his North American Indian project. 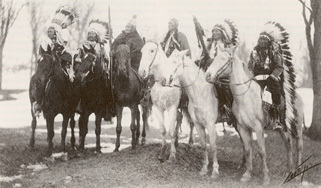 By 1904 Curtis had publicly announced his intention to create a vast and complete record of the North American Indians. He realized that a project of that scope would require financial backing, but he was determined to build on nearly five years of research and photographic work and begin. He was preparing a journey to Montana to work with the Crow Indians when he received word that Roosevelt had seen the photograph of Marie Fischer that Curtis entered in the Ladies' Home Journal "Prettiest Children in America" contest, and wanted him to come to New York to take portraits of the Roosevelt family. 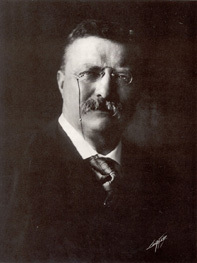 Curtis could hardly have asked for a more sympathetic ear than Roosevelt's, who had an intense interest in the West. 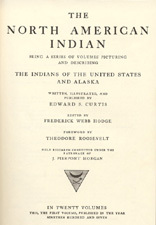 Roosevelt, like many of Curtis's eventual supporters, was more interested in obtaining a record of vanishing Native American cultures as a testament to the superiority of his own civilization than out of any concern over their situation or recognition of his own role in the process. However, Curtis was still at the beginning of his career, and not yet as radical in his admonition of government policies towards Native Americans as he would later become. He saw in Roosevelt a valuable contact and friend. To the left is a photograph of the famed Apache Geronimo, along with five other chiefs that Curtis took on the White House lawn in honor of Roosevelt's 1905 inauguration. In the years between 1904 and 1906, Curtis heightened his participation in national exhibits. He knew that he needed to build a wider audience and a solid reputation before approaching anyone as a financial backer for his project, and his own financial situation was becoming dire. 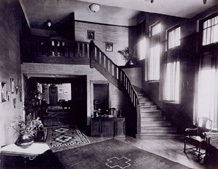 He held his first exhibit/lecture at Christensen's Hall in Seattle in December 1904, and attracted an enthusiastic capacity crowd. He took his lecture, which incorporated a slide show and motion pictures, to various venues on the west coast, and eventually to the Washington Club and the prestigious Cosmos Club in Washington D.C., and the Waldorf-Astoria Hotel in New York. His show garnered positive reviews from the scientific community and the press, and he was able to sell a number of prints, but he also continued to lay out money for work on the first volume of The North American Indian, and was in desperate need of a financial backer. 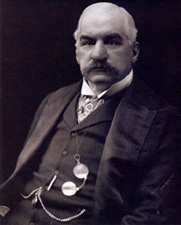 In January 1906, he took matters into his own hands and arranged a meeting with J.P. Morgan. Curtis had never met Morgan, but he had the endorsement of Louisa Satterlee, Morgan's daughter and a patron of Curtis's show at the Waldorf-Astoria, and a letter of recommendation from President Roosevelt. He sent a proposal of his plan ahead of him, and set out to meet Morgan armed with a portfolio of his photographs of Native Americans. The story of their meeting tells a lot about the character of both men: Morgan dismissed Curtis almost before he had finished his proposal, yet Curtis, who at this point felt he had no more to lose, decided to open the portfolio anyway, and after viewing the images Morgan relented and agreed to give Curtis $15,000 a year for 5 years to complete his project. Curtis finished up his east coast lecture schedule and finally set off to begin The North American Indian in earnest.